Beauty Bar founder Paul Devitt pioneered into downtown Las Vegas in May 2004. 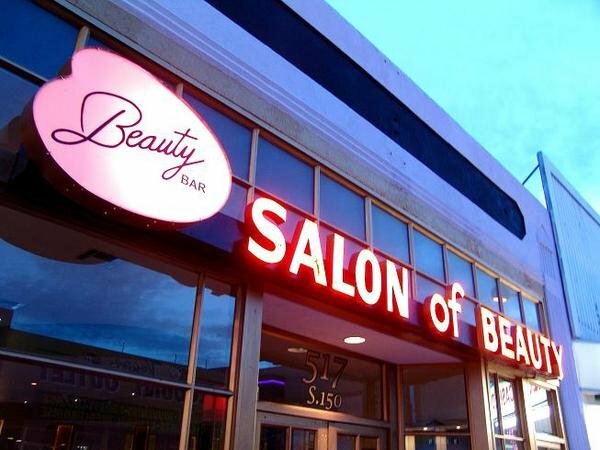 Located on East Fremont Street, Beauty Bar Las Vegas features a large back patio for live shows and is retrofitted with the late fifties Capri Salon of Beauty from Trenton, New Jersey. Beauty Bar is in their ninth year of business on East Fremont. Since Beauty Bar opened Fremont Street has come along way since 2004. 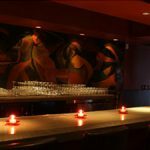 Beauty Bar still has a number of weekly events from Monday Karaoke night, Tuesday is Nickel Beer night, you can check out Wasted Wednesdays that features free entry and $2 drinks. 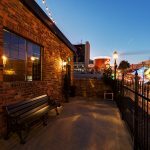 If you are looking for live music, Thursday, Friday and Saturday night at Beauty Bar you can check out one of the live acts that play in the back lot. When you walk into Beauty Bar the bar is to your left with some tables on the right and if you head passed the bar you will find the restrooms and the door to the back lot. If you are looking for more information on the live acts that are happening click here for a complete list of bands performing on a weekly basis. They have had Shiny Toy Guns, 100 Monkeys as well as a number of other indy bands. Opens nightly at 9:00 pm until 2:00 am.